It’s Sunday, 24 June 2018. At 04:30 the alarm clock rings me out of bed to catch the first S-Bahn to Zurich at 05:37. At 7 a.m. 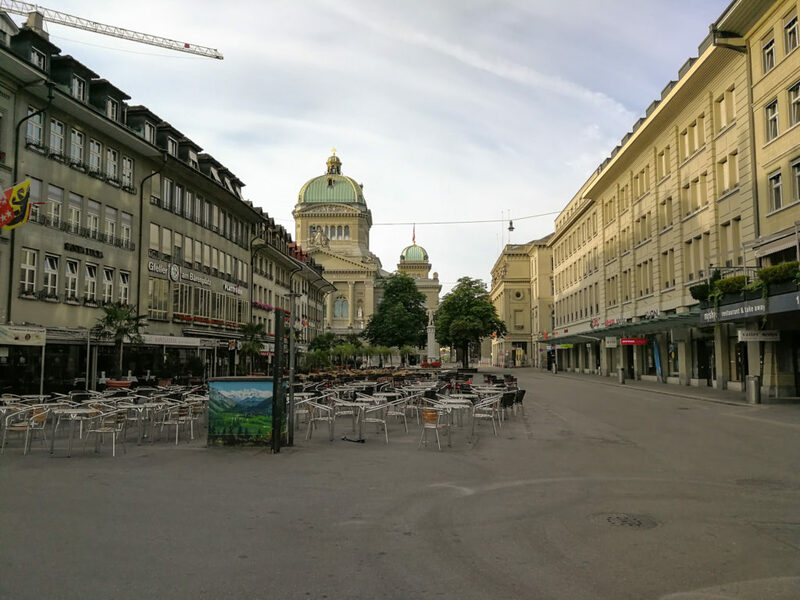 I reach Berne and immediately make my way to the Aare behind the Bundeshaus. 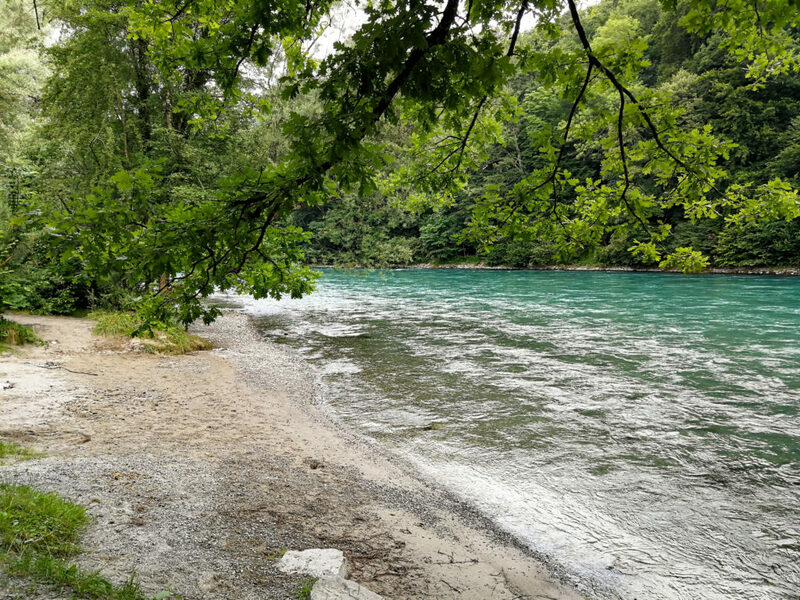 When I reach the Aare, I follow it upstream. After a good five hours I reach Thun and have lunch. After lunch I walk along Lake Thun. About one hour before Spiez the path goes up a bit. 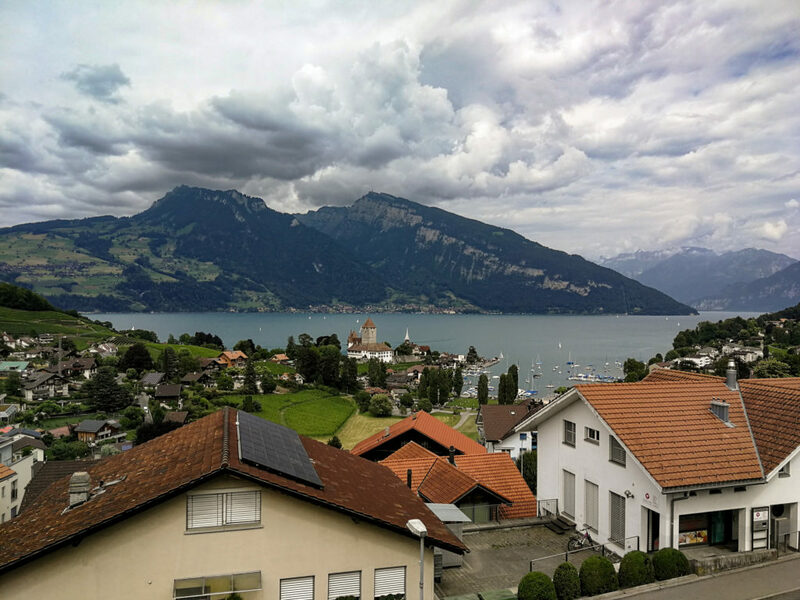 After a total of 44.5 kilometres I reach Spiez station, the soles of my feet are burning, but I am happy about the distance covered. Tip: In summer the Aare can be easily navigated with a rubber dinghy. 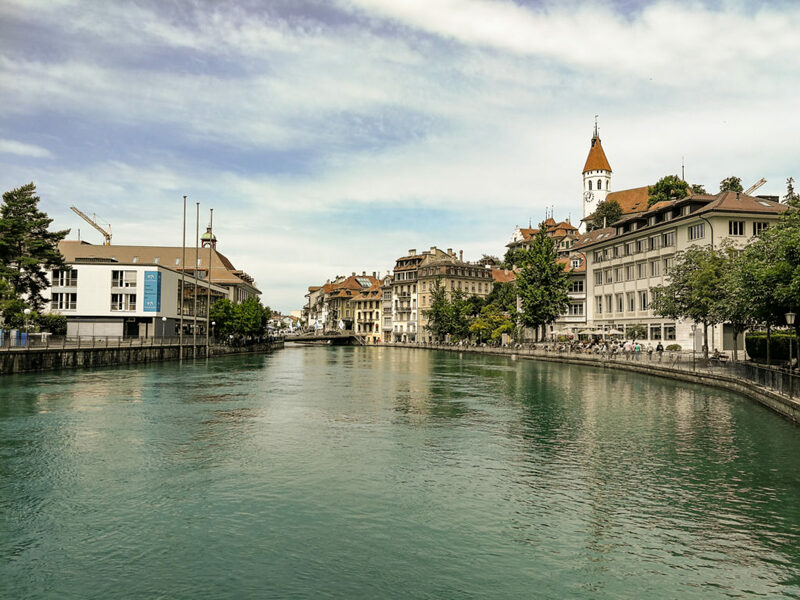 For example, it is a good idea to cover part of the Aare on foot and rent a ski boat in Thun to drift down the Aare. The calendar page shows 3 June 2018, the alarm clock rings me out of bed. I take a suburban train to Rafz and there the post bus to Rüdlingen. Today’s destination: Schaffhausen. It’s Sunday, February 18th. Early in the morning I get up and set off for Ticino through the Gotthard Base Tunnel. In Bellinzona I leave the train and set off on foot towards Mago Maggiore. First the trail goes to the river Ticino. The path then follows the river. Despite winter there is no snow. But in the morning the ground is still frozen. Shortly before the lake I cross the last bridge and walk along the road and the airport to the other side of the valley until just before Riazzino another hiking trail begins. The calendar page shows Saturday, October 28, 2017, early in the morning I get up and take the first train to Ticino. Via the old Gotthard route I reach Faido. There I make my way down Valle Laventina.